Trust Your Gut… and your child’s gut, too! iPhones, texting, YouTube…we seem to be a technology-dominated society. Of course, in my 40’s, I am probably a bit insecure in these high tech times, since the first time I ever turned on a computer was in college! Don’t get me wrong, I am a definitive fan of technology as it aids me in my business, in keeping up with my kids’ whereabouts, and in providing research at my fingertips…not to mention great recipes at a moment’s notice. But when it comes to protecting our children from child predators, detection is key and there is no technology in the world that is more valuable than feelings that stir inside of you and your child—TRUST YOUR GUT! Detecting danger and protecting children from the most sinister of criminals is most effective when we clearly see that making changes “from the outside in”—fighting for more stringent laws, battling the internet industry, or ensuring that your child’s school/camp performs background checks on all who come into contact with your child—is only HALF the battle. Even more effective is implementing changes in our own lives and the lives of our precious children “from the inside out”—fueled by open and honest communication with our children, as well as a respect for your child’s own gut feelings. Yes, this is an uncomfortable topic. But if your child leaves the confines of their bedroom, either physically or virtually, they are susceptible to child predators. 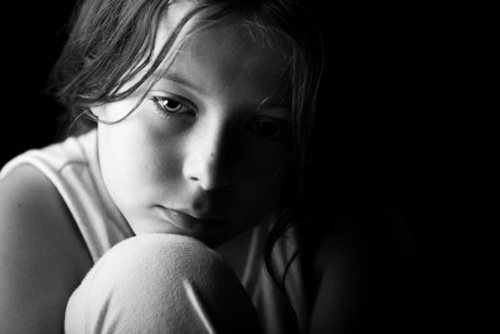 According to recent statistics that can be found on numerous child advocacy websites, every 11 seconds a child is abused. In more than 90 percent of child abuse cases, child predators are people you and your child know. Even scarier, they are people you trust. A minister, the dentist, your kid’s soccer coach and, in my case—my now ex-husband. Communicate! Talk to your kids about their relationships with trusted adults. These are not formal “sit down” sessions designed to scare your kids; rather, it is open dialogue you continue with your child in casual situations. Teach children, at any age, the difference between a welcome and an unwelcome touch. Stress with your child that no matter who the trusted adult is, if the touch is unwelcome, say “no” and get out of the situation. Always believe your child if they tell you they have experienced an unwelcome touch. If we are promoting “trust your gut” it is vital that we respect and trust our kids’ guts as well. Understand the “grooming” techniques of child predators, particularly if your child/teen is using the internet. Several resources are available to parents specifically on the typical phraseology used by internet predators with kids. Check out these resources at www.safekids.net and www.netsmartz.org. American families are part of a raging epidemic. The epidemic, however, is not that there are more child predators in our country or that child predators have greater access to our kids via technology. The epidemic is that parents are AFRAID TO TALK TO KIDS ABOUT THIS TOPIC. Whether you are concerned this topic will scare them, uncomfortable speaking openly about their body parts or just plain foolish enough to think that this only happens to “other people’s kids,” it is time to talk now! Child predators are like fire ants. When you apply fire ant killer on your lawn, the ant predators are in danger. When the Queen or her colony suspects that your yard is no longer a safe option for them to live and feed, they will move to the next safe yard to continue their evil deeds. Interpretation? If you openly communicate and maintain an open and safe environment for children to “trust their gut,” your child is no longer a viable victim and the child predator will move on. Just imagine if we all empowered our children to detect, communicate and trust their gut…the possibilities are endless! Darlene Ellison, M.S. is the author of “The Predator Next Door…Detect, Protect and Recover from Betrayal.” She is the proud mother of two and her story, as the ex-wife of a child predator who was arrested in a major FBI sting operation in 2005, has been featured across the country. More information about her story, her book and her presentations is available at www.darleneellison.com. Her book can be ordered on her site or at www.amazon.com and is filled with valuable parent resources/tips.